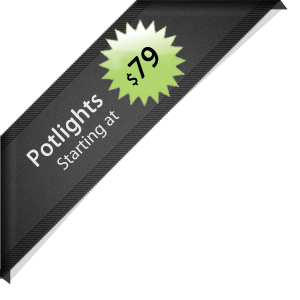 Mr. Potlight is your number one pot-light installer in the Greater Toronto Area. As such, it would be unfair not to provide you with our professional expertise on the subject of pot-lights. In fact, it would be professional sacrilege. So, in order to share our expertise, we’ve accumulated some of the most commonly asked questions about pot-lights and answered them here. Wow, aren’t we nice? Q: What kind of pot-lights are usually installed? A: Honestly, whatever kind you want. Depending on where you will be installing your pot-lights and whether you have the proper wiring, you can install a variety of pot-light shapes, sizes and light types. Q: Where can I install pot-lights? A: Pot-lights can be installed in almost any room, interior or exterior and have a multitude of variations. We can help you determine the kinds of lights to install in what circumstances. For example, you should be installing moisture tight and water-proof lighting in bathrooms or kitchens, or areas prone to moisture. Interiors, insulated lighting should be installed where the potential for overheating exists. We always take into account safety restrictions and problems before going through with any installations. A: Mr. Potlight guarantees single day installation of all projects. Q: Does pot-light installation require much wiring? A: That depends on if your ceilings are already wired for pot-lights. If not, the installation of your pot-lights will require wiring. However, we ensure that no damage is done to your ceiling, drywall or floors, and we don’t require the installation of mouldings to write your ceiling. Q: What colour LED Lights should I install? A: It’s up to you to determine the light brightness, tint and colour which best accentuates your interior. We recommend choosing a bulb type and brightness before contacting us, so that we can advise you on how best to proceed. If you’re installing tinted lights, remember that they are exchangeable, though not inexpensive. Ensure you are ready to commit to a bulb. Q: Are your installation professionals licensed and insured? Of course! We’re licensed by the ESRA and the Electrical Safety Authority. All our electricians and installers are required to have the proper documentation, and will procure it for you when asked. Q: How do you pass the wire through closed ceiling without damaging the ceiling? A: Ah, now this is a trade secret… but we’ll tell you anyway! Instead of taking your ceiling apart, we cut holes only where the pot lights will be, and use fish-tape to route the wiring through your ceiling, from hole to hole. This way, you avoid any mess and we’re out of your hair in no time at all! Q: Can I use a dimmer? A: Yes, if you install dimmable lights. Q: Who are you, Mr. Potlight? A: Now that’s a trade secret. 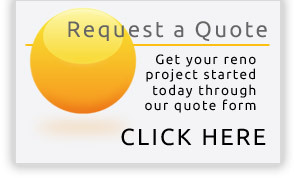 Request a call back from our lighting specialists. To receive your ESA certificate you must fill out all fields, comments box is optional. 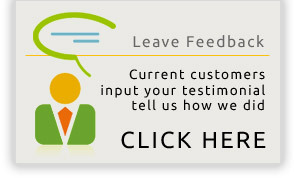 that could help us improve our business, leave your feedback here. 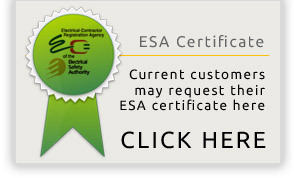 *To receive an ESA Certification please verify with the electrician when consulting. We guarantee that your pot light installation will be completed in one day! We install over 100 pot lights in a day with Absolutely No Mess or Damage to your home. We provide a 5-year Warranty on our products. Our policy reflects the following statement: you don’t have to pay until your pot light installation is complete and up to par, because we hold our promise to the highest degree of integrity.